Texas America Safety Company offers a complete line of hearing protection. 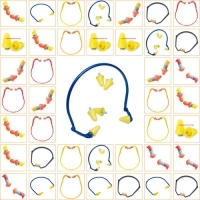 We carry ear plugs, ear muffs, hearing bands and other types of protection. Also offering ear plug dispensers ear plug stations and more. Rather at work, at home, or at a concert, be sure to protect your hearing. If you’re involved in any line of work, hearing protection is crucial. Without protection for your ears, loud noises could cause you to sustain serious injury to your hearing. We carry a large selection of products for hearing protection. Our ear plugs can be worn while on the job, and they offer protection against loud construction equipment, concerts and all types of noisy environments. We stock earplugs from all of the top brands. 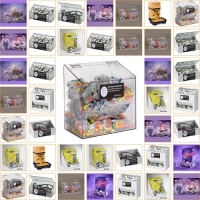 Choose products from Howard Leight, Pyramex, Moldex, DeWalt and EAR. Our earplugs are available in several different styles and priced affordably. While earplugs deliver excellent in-ear protection, we also carry ear muffs, which can protect your entire ear. Our inventory of DeWalt, Howard Leight and Pyramex products can protect your hearing while working in noisy environments. 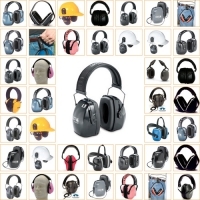 Since we carry a diverse range of ear muffs, you can find several products that can be worn with a hard hat. If you need more functionality, we even have electronic Pyramex earmuffs. We know that earplugs are very small, so it’s quite easy to lose them. This is a huge problem in many workplaces. Fortunately, you can browse our selection of ear plug containers. Many of our containers can hold 200 to 300 earplugs, so you can keep them close and ready to use. Our ear plug stations are ideal for commercial use because they serve as convenient storage devices for hundreds of pairs. 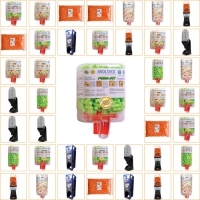 We stock convenient earplug stations from Moldex, Pyramex and Howard Leight. Hearing bands are great reusable earplugs, and we have several types of hearing bands to choose from. Our hearing bands are extremely useful because they can be draped around your neck when not in use. Find products from Howard Leight and EAR. The hearing protection products that we carry can protect your hearing from short and long-term damage to your hearing.